I’m switching things up today from fashion to cooking light! I was seriously craving pizza, but didn’t want anything too heavy. I’ve been wanting to try a cauliflower crust for a while, so I took on the added challenge to making one. Surprisingly, it was super easy, done in no time, and I had to hold myself back from eating all of it (that’s how good it was)! – Let your pizza cool for 2-3 minutes…and then DIG IN!!! I know several of you will be extremely skeptical, but I promise I won’t steer you wrong! So go ahead…I TRIPLE DOG DARE YOU!!! (Bonus points if you can name what that’s from!) Seriously though, don’t knock it until you’ve tried it. Pizza is literally my favorite food in the world, and if it can pass the test for me, you’ll all love it! And if you do end up making it, I’d love to see any photos or videos you have! Tag me on my Instagram, DM me, contact me here, etc. Let me know your thoughts! Yummy yum yum! It was delish! This looks so yummy. I’ve never had cauliflower crust before, but it sounds delicious, so I’ll definitely have to try it out!! Yes, do it! So good!! I need to try this- the crust looks so good! Cauliflower is such a great alternative! 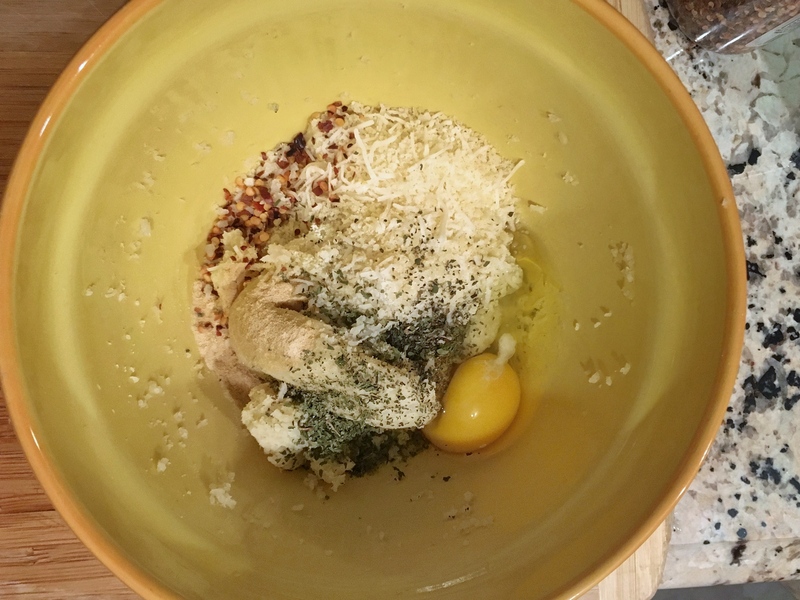 This recipe sounds awesome – thank you for sharing! Have to try this at home this week! Please do, and send me pics of yours!! This looks absolutely delicious! Now I can eat pizza every night! That’s the point 🙂 Hope you enjoy it! !